Thousands of workers across America are retiring every day. As the baby boomer generation ages, more of our population crosses that line into becoming senior citizens, more seniors are retiring, and more retirees are aging. A record percentage of our population will be considered "elderly," and this transition of our demographic means that the medical issues that accompany an elderly generation will also be required in record numbers. Even though these seniors will have needs across the healthcare spectrum, one particular type of assistant that many seniors might prefer to utilize is the home health care assistant. No one likes to stay at a hotel for too long, and especially at hospitals the first question on patient's lips is "When can I go home?" A home health assistant works to provide basic healthcare services right within the comfort of the patient's own home. If you have compassion for those with medical needs and are interested in starting a career in the healthcare field, then obtaining your associate's or bachelor's degree in home health assisting is what's right for you. Since this is one area of healthcare that is destined to expand enormously over the next several years, there will be high demand for thoroughly trained and experienced individuals who can provide the best home health services. Your degree program will equip you with the knowledge you need to prepare you for any situation any type of patient might be in. Common degree programs include courses on gerontology, philosophy of long-term care, dementia management strategies, promoting independence, psychology, and personal care. 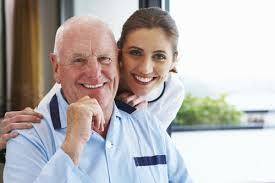 Home health assisting is far different from nursing or other medical field careers. While patients have many medical needs, when they are at home their primary goal is often to carry on with their lives and perform their daily routines. However, because of their age and medical condition, they hire a home health assistant to help them with their daily tasks. While certain tasks you'll be required to assist with certainly intersect with medical responsibilities, the majority of your requirements will be normal daily at-home functions that healthy individuals take for granted. These include bathing, shaving, and toileting patients, making beds, helping patients stand and sit, transporting patients, cleaning living spaces, and so on. Other responsibilities involve you making observations and documenting patients' conditions, possibly working in shifts with other assistants, and reporting your work to a registered nurse at your employment facility. While many home health assistants work directly at a patient's home, they are typically employed by a larger care group or agency. The patients contact this agency who then sends you to care for the individual at their home. When you are not working directly inside of a patient's home, you might also be working at a local residential care facility. This is a type of nursing home for the elderly who cannot live by themselves, but who do not necessarily need 24-hour supervision. Your responsibilities would be largely similar in this setting as you care for the elderly and attend to their needs that help them carry on with their daily living routines. More and more families will be opting for home health assistance in upcoming years as their loved ones become unable to care for themselves. Your degree in home health assisting will train you to take care of these individuals, providing for their daily needs so that their quality of life remains high and enjoyable. Whether you are working directly inside of someone's home or at a nursing or care facility, your caring heart and your knowledgeable head will make many people's lives easier. Both the patients and their families will thank you for the incredible relief you provide in their lives. Can you do the Following Tasks? Being a home health aide is a very rewarding career. Some of the things however are different than a typical 9-5 job at a hospital for example as you’ll usually be alone with the individual at their home. Be sure the below are things you feel comfortable doing. Work Out of Office – As a home health assistant you’ll be spending your day helping someone at their residence. You don’t have an office to work out of and will only report back to the company that hires you periodically. Help Someone that is Disabled – Sometimes as a home health assistant you’ll be tasked to help someone at home that perhaps has a disability. Hours – It is common to work more than 40 hours of work per week. Some individuals that hire you might hire you on full-time where others will be on an hourly basis or part-time. Judgmental – It is important that you aren’t judgmental as a home health assistant. Sometimes their homes might be in the best order. It is your responsibility to help out as needed. Online vs Campus – It is recommend that you take a campus based Associate’s degree in home health assisting as it is something that really can’t be done online. The only part of your 60 credit hour degree that can be done online are the majority of your general education courses. Tuition Cost – Try to find a program that is around $15,000 to $25,000 max. We have heard of some Associates degree going over this amount but in our opinion you should be able to find a good accredited school that offers a home health aide degree for under $25,000. You can always email us directly if you are having a problem and our staff will be happy to help you locate one. HACH Certification Exam – Make sure you can take your HACH exam upon successful completion of your program.